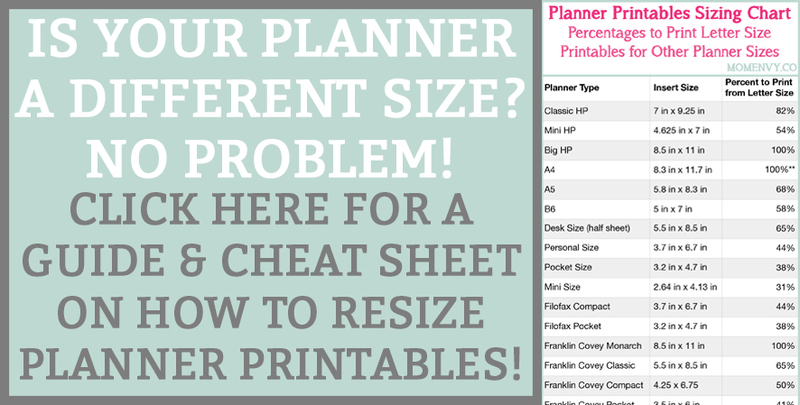 Tired of the Meal Planning Struggle? husband: I don’t know. Whatever you want. me: But I want to know what you want to eat. So what do you want to eat? husband: Whatever is fine with me. It doesn’t matter. Yes. It. Does. Matter. Because just like my wonderful husband, I hate to make the decisions about dinner. It’s boring. I don’t know about you, but I’d much rather be watching some This is Us or House Hunters (I mean, I need to see what million-dollar house the hipster couple with no jobs to speak of pick this week). 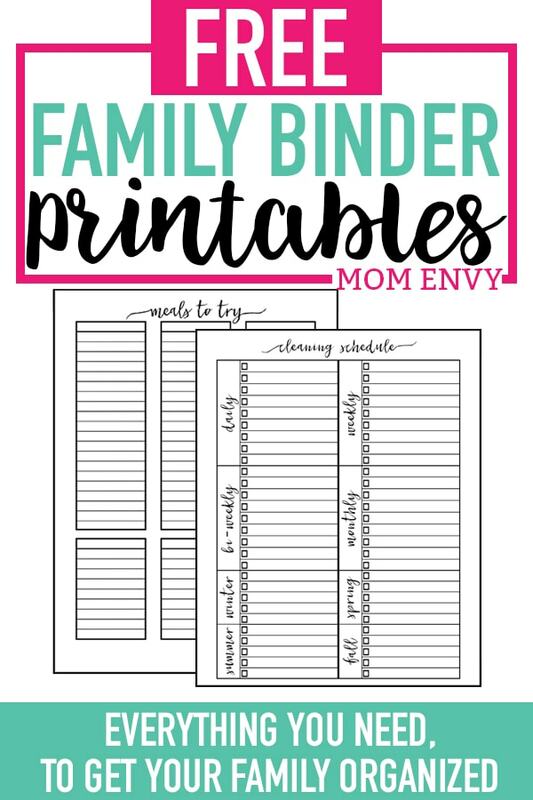 But instead, I used to spend each evening frantically trying to prepare a last minute meal with what I have on hand because I forgot to plan it ahead and purchase what I need. 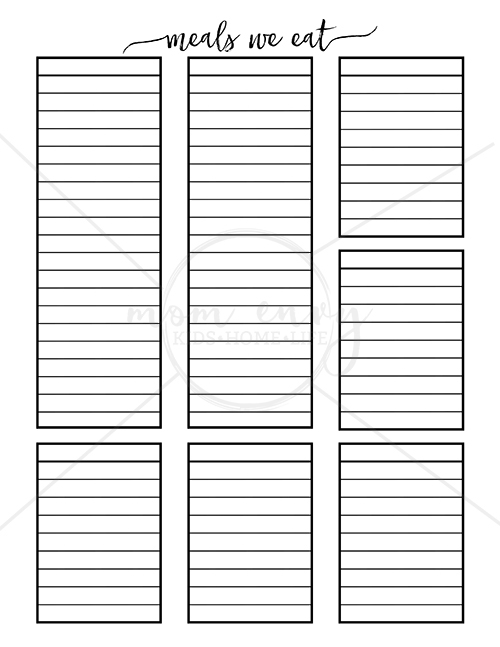 After ripping my hair out on one too many occasions, I decided to get serious about my meal planning. 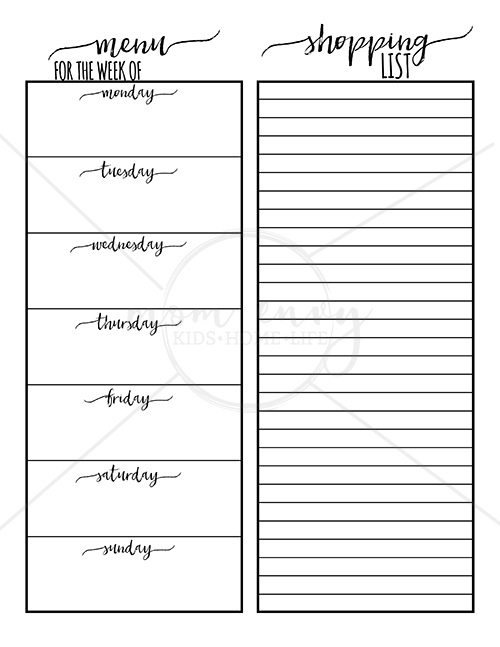 In doing so, I created these meal planning printables to make my life easier. In my house, I dislike meal planning so much that I plan my meals out for two weeks at a time. 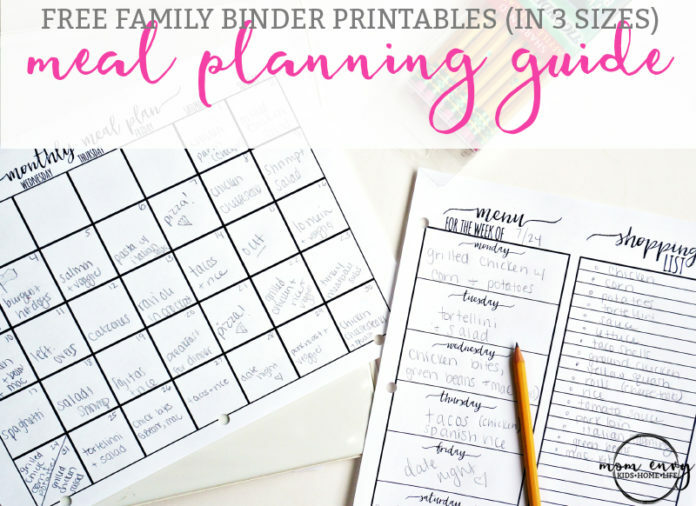 I found that it actually takes me a lot of time both shopping and planning if I just plan two weeks of meals at the same time. 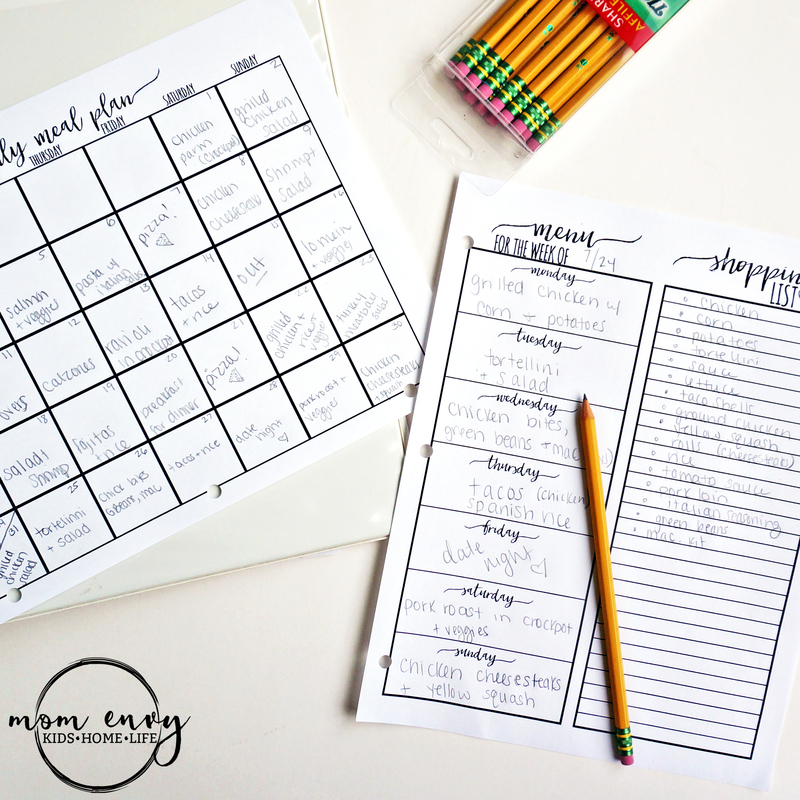 And honestly, planning out your meals a month at a time could be just as easy because you could repeat the meals from the first two weeks of the month. Thanks to my two-week method, I only need to do a big grocery shop every other week (which makes me oh so happy). On the off week, we swing by the store for produce, more bread, and milk. 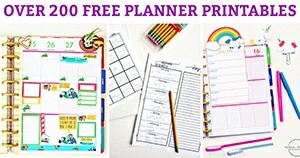 My friend Sarah, at Super Savvy Sarah does a big bulk shop every 3 months – now that’s dedication. It’s super impressive. 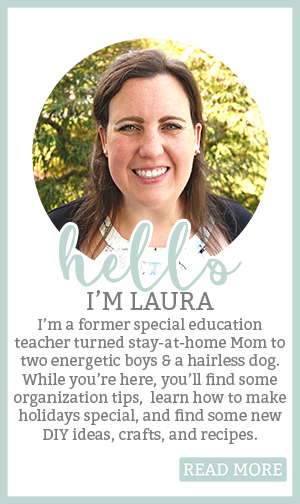 Maybe her method would work for you, too! 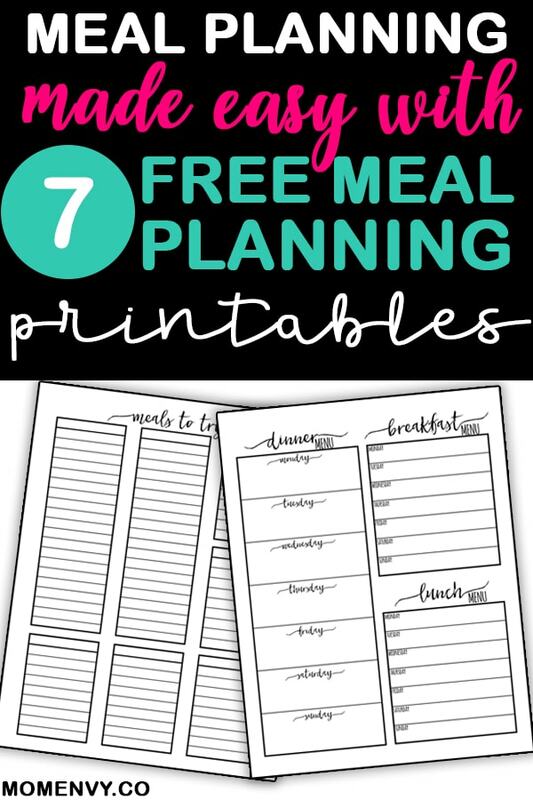 When meal planning, keep your “meals we eat” and “meals to try” printables by your side. This way, you can quickly pull a meal that you already know your family likes or one you’ve been wanting to try. Make sure to cross off any meals that you try and don’t like. 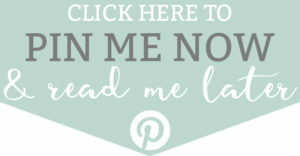 Take your ready-made list for grocery shopping or transfer your list to an app on your phone (I use the Wegmans app because it’s amazing and keeps track of what I purchase). Keep your completed list near the kitchen so you can easily see it. It will help remind you of what you need to pull out of the freezer for that evening. 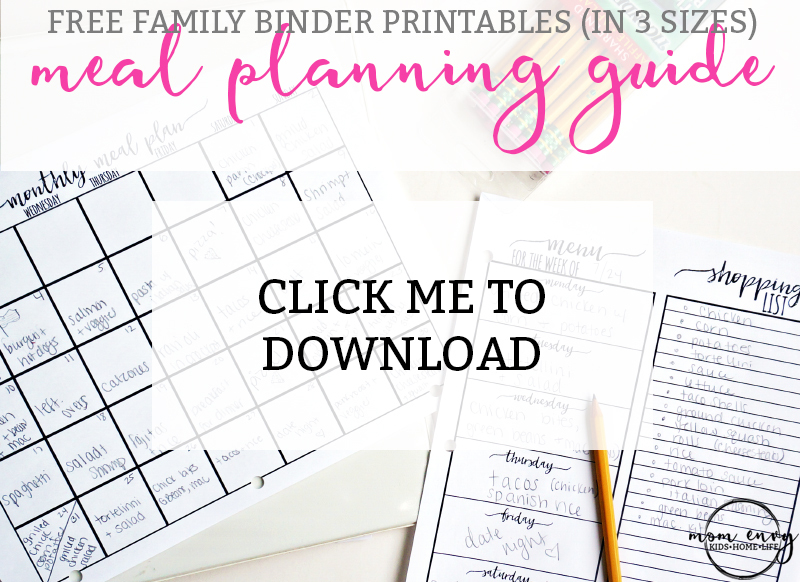 Are you ready to make meal planning less painful? Then continue below! 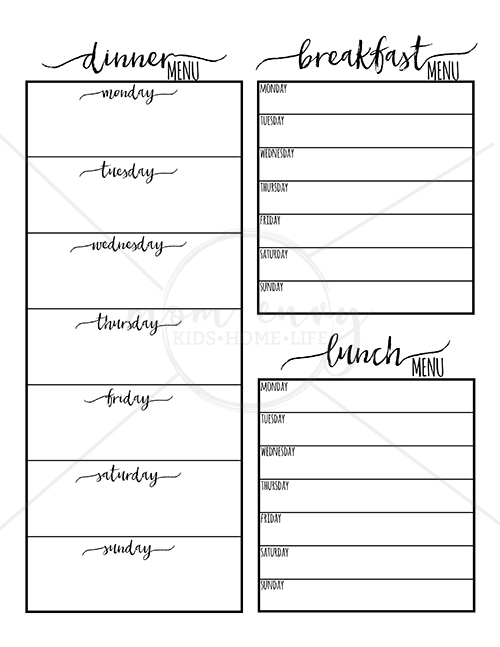 Looking for more meal planning themed planner printables? 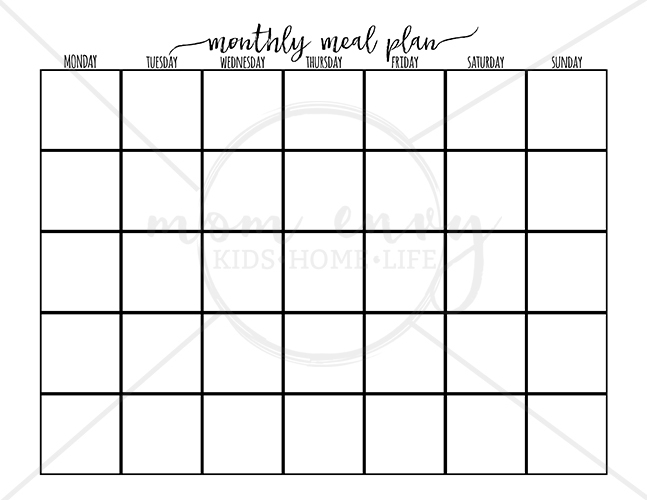 monthly calendar (this makes meal planning SO much easier). 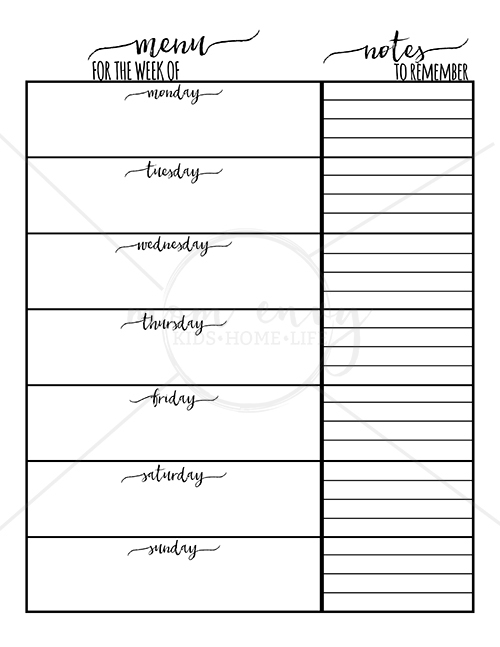 Meal plan for the week and a space for notes (this can be used to write notes about the recipe such as take chicken out the night before – or – to remind yourself if someone won’t be home or you have an activity that day). They’re available in Monday-Sunday or Sunday-Saturday format. Personally, I prefer the Monday-Sunday format. 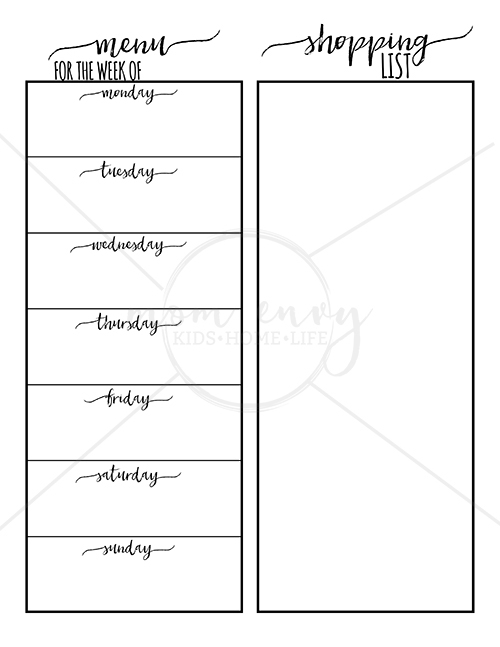 Print the weekly sheets every week OR laminate them and use a dry erase marker. 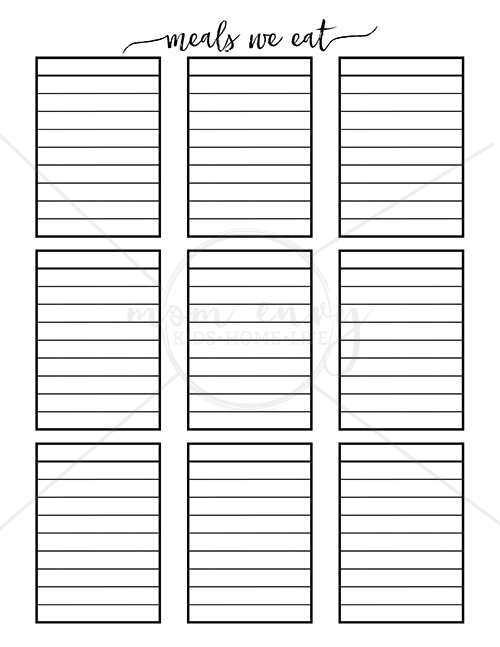 Looking for more family binder inserts? 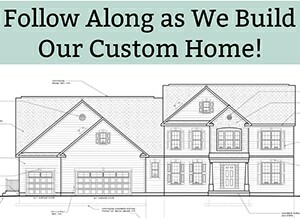 Click here to see everything that’s available! These are great! 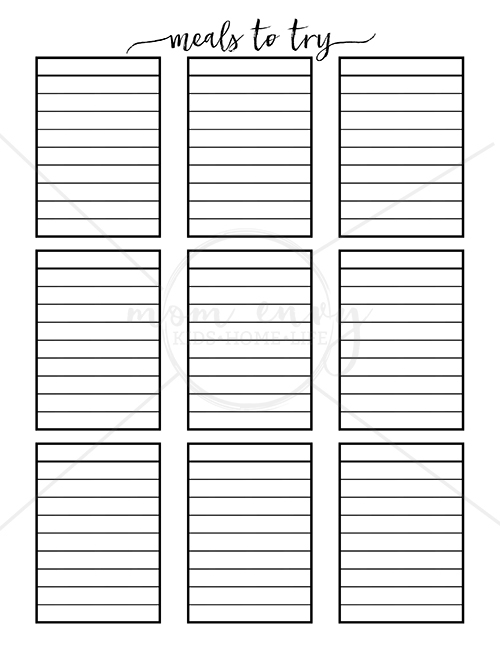 I think you’ve inspired me to start a family binder. Love the Gilmore girls reference, too! 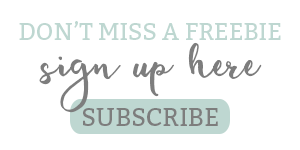 I have tried to sign up and have not received a password. Thanks!